WSI INFLIGHT provides a continuous stream of airspace and weather information directly to the cockpit during flight via satellite. Co-developed with NASA, WSI InFlights data link and automatic update service keeps pilots aware of situations as they unfold, increasing flight decision confidence. Co-developed with NASA, WSI InFlight is a patented system that provides a continuous stream of mission-critical weather information to your portable or panel-mounted display with complete coverage and content for the continental U.S. at any altitude. Affordable, flat-rate subscription plans make WSI InFlight a must have for serious pilots. 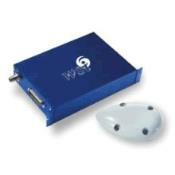 WSI InFlight AV200 system (Certified to DO-160D) includes InFlight Receiver, software and Antenna.